Dog training… it’s part of being a dog owner, but training methods vary greatly. The techniques and methods used defines the relationship your dog will have with you and others for years to come. Although science based, the dog training profession remains unregulated. Practically anyone can operate as a dog trainer. Before choosing a dog trainer always ask for their training philosophy. Harmful practices are unfortunately still used by some trainers. The potential for detrimental effects from training techniques such as alpha methods, dominance rolls, prong/choke collars are well documented and include aggression, increased anxiety and fear. No dog deserves to live this way, so listen for these terms. For any pet service, be sure to do thorough investigation. This means more than checking out a business website. Anyone’s website will tell you they are successful. Any reputable place will encourage you to come inside. 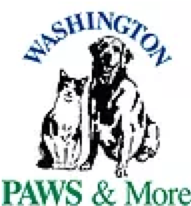 Always beware of any pet service (training, boarding or grooming) which does not allow or encourage you to visit their location. Positive training should be the only method considered and should be applied consistently. Positive reinforcement (reward based) builds a healthy bond between you and your dog. Every interaction with your dog is a learning experience. You are training them whether you intend to or not. With a bond of trust your dog will be an eager learner making it possible for them to accomplish far more than you expect! 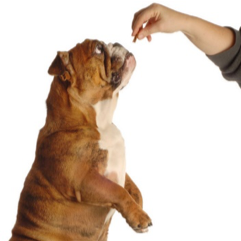 By reinforcing behavior you like and want to continue seeing, you set your dog up for success. Regardless of age and past experience, ethical training techniques give your dog AND you many happy years in a hectic human world. Oh my, we get asked this question all the time. The answer…a healthy energetic dog can destroy anything. No dog toy, no matter who makes it, is indestructible, this we can guarantee. If you leave anything for a dog to chew, odds are it will be chewed up. Our moto is: If they are destroying their own thing and not yours it is a good day. Other than causing owner related frustration, chewing is important for healthy teeth as well as state of mind. Dogs chew to relieve stress, boredom as well as for entertainment. The mouth is how dogs explore their world. 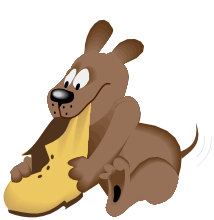 Basically, a dog’s view of all thinks in her world is ‘can I chew it?’ Having many and varied things for your dog to chew is important. The Culture Clash by Jean Donaldson has an entire chapter devoted to chewing entitled “It’s all Chew Toys to Them”. Equally important is redirecting dogs toward items you want them to chew. A stuffed Kong, Benebones, No Hides, West Paw toys and bully sticks are a few examples of great chewing dog babysitters. On a similar note, many dogs LOVE stuffed toys and LOVE tearing them apart. De-stuffing is what makes them fun. To give a dog a stuffed toy and expect it to not be torn is a bit like giving a child a cupcake and telling them they can only look at it, no eating. Great music, great cause., what more do we need to say? Come and enjoy Two Bit Maniac at a fundraiser for Paws and More Animal Shelter. Two Bit Maniac is an Iowa City group playing great covers of classic rock, blues & jazz. Tickets are $10 available at Leash on Life, Paws & More 319-653-6713 or at the door. 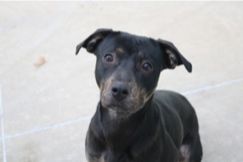 Tenny is a busy 3-6 year old Pit mix. She loves to learn and make people happy. Tenny is available through the Iowa City Adoption Center. Call (319) 356-5295 or visit www.icanimalcenter.org to learn more about all the animals at the Center.